This article was first published in January 2005. (Minghui.org) On January 18, 2005, the Chinese state controlled media Xinhua News Agency aired the staged “Self Immolation” again, claiming that it had requested reporters both inside and outside China to interview the people allegedly involved. In fact, Jiang’s regime organized these “interviews” in April 2004. The propaganda insists that “foreign reporters” were present, but their goal was to deceive China’s populace (who cannot receive information from outside China because of the information blockade). This was done to instill the belief that western media cooperate with Jiang’s regime in its slanderous propaganda of Falun Gong. 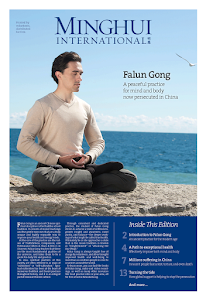 If what the Xinhua News Agency claimed had happened was in fact true, and the western media were following Jiang’s regime in slandering Falun Gong, the People’s Daily would have also reported it on the front page. The truth is, the CCP’s effort in revisiting the “Self Immolation” incident is merely a last minute feeble attempt to justify its actions before complete collapse. The staged “Self Immolation” incident is unique among dozens of other false charges. 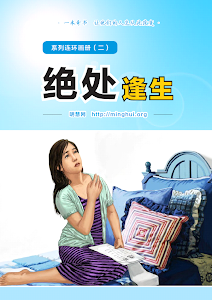 In most other of the cases contrived to frame Falun Gong, such as the murder cases and various suicides, the perpetrators used crimes committed by mentally ill people to lay blame on Falun Gong. Even ordinary people could easily see that those people were mentally ill, especially when viewing their behavior during TV interviews. Those cases are not convincing enough. 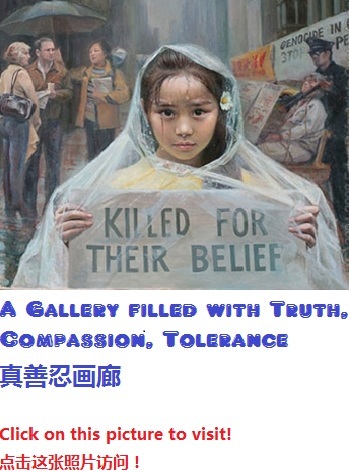 Yet the “Self Immolation” incident is a carefully orchestrated con from beginning to end, with its sole purpose to turn public opinion against Falun Gong. The participants of the “Self Immolation” were carefully chosen ahead of time and included old and young people, an adult man, and a middle aged woman with her teenage daughter. The participants were carefully selected for their ability to evoke pity in people’s hearts. The scene was prepared equally carefully. Police in China do not patrol Tiananmen Square with fire extinguishers already at hand. Yet on the day of the “Self Immolation,” many fire extinguishers were clearly visible in Tiananmen Square. Reporters from the state controlled media had been briefed ahead of time about the incident. They knew what to expect. The staging even included sound effects. Microphones broadcast the immolators words loudly and clearly. They were recorded in equally high quality. The camera crew filmed all scenes, even the scene of the young girl crying out for her mom in misery. The images and sounds aroused deep feelings in the audience. The aftermath was staged equally carefully. There was an “Aunt Liu” who failed in her attempts to set herself on fire. She told the whole story on TV. In concert with the hospital interviews and finger pointing by the so-called friends and family members of the “participants,” the fraud that instilled the hatred in China’s populace toward Falun Gong was thus produced. Because the “Self Immolation” is very effective in poisoning people’s minds, Jiang’s regime uses the staged incident as the most important proof of legitimacy of its persecution. In the past several years, the state controlled media repeatedly propagandized the incident. They publicized follow up interviews with the alleged “participants” time and time again. 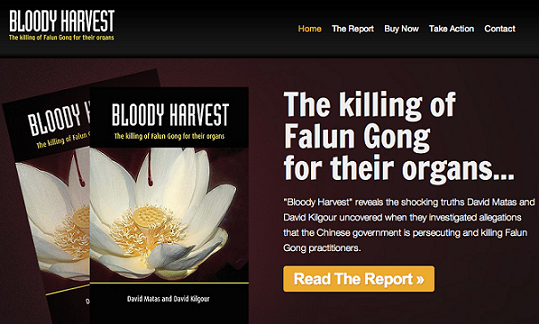 The incident is almost always quoted in Chinese government propaganda distributed to demonize Falun Gong. It was even included in all primary school textbooks. The CCP has linked the staged “Self Immolation” to its own survival. They need it to keep the inhuman persecution alive. The CCP thought that the “Self Immolation” fraud was perpetrated in a watertight fashion, yet it is falling apart at the seams and has become its own undoing. Practitioners at FGMTV analyzed the video footage from CCTV (China Central Television Station) while viewing it at an extremely slow speed. When slowed down, many suspicious details surfaced. Liu Chunling was hit by a policeman from behind with a heavy object. Wang Jindong’s sitting position could not possibly be that of a practitioner. The plastic bottle between his legs didn’t ignite, yet it supposedly contained gasoline. The on-camera dialog between a reporter and Liu Siying, wrapped tightly in bandages lying in a hospital bed just days after allegedly suffering severe burns all over her face and body, able to speak clearly just after surgery on the trachea. Taken together, these and other points are clear proof that the “self-immolation” incident was staged to frame Falun Gong. One year after the “Self Immolation” incident, CCTV reporters interviewed Liu Yunfang, one of the participants. When asked about the purpose of “Self Immolation,” Liu said nothing about “reaching consummation and going to heaven.” Instead, he said his purpose was to “clarify the truth to people.” “Clarifying the truth” includes exposing the lies of Jiang’s Regime, and it has nothing to do with “reaching consummation and going to heaven.” Another participant Chen Guo also said to the reporters that she also wanted to participate in more activities to protect Falun Dafa. We can see that after the lie of “reaching consummation and going to heaven” could no longer deceive people, the perpetrators were forced to come up with another motive. However, since 1999, practitioners in China and overseas have been clarifying the truth continuously. The international communities have highly praised their peaceful, rational, and forbearing efforts over the past 5 years. In this time, not a single practitioner adopted extreme methods such as the “Self Immolation” to clarify the truth. The more the CCP puts the “legitimacy” of its persecution on the staged “Self Immolation,” the more effective and powerful is the truth-clarifying effort that reveals the truth about the incident. This is why Jiang’s Regime is so scared that the truth becomes known about the “Self Immolation,” especially when practitioners tap into the cable TV networks and reach many Chinese citizens with broadcasts about the true situation.